We arrived at Wayalailai Ecohaven, our last resort of the trip, at around 4:30pm on Tuesday 13th June 2017. We had heard good things about the resort so were looking forward to our stay here. 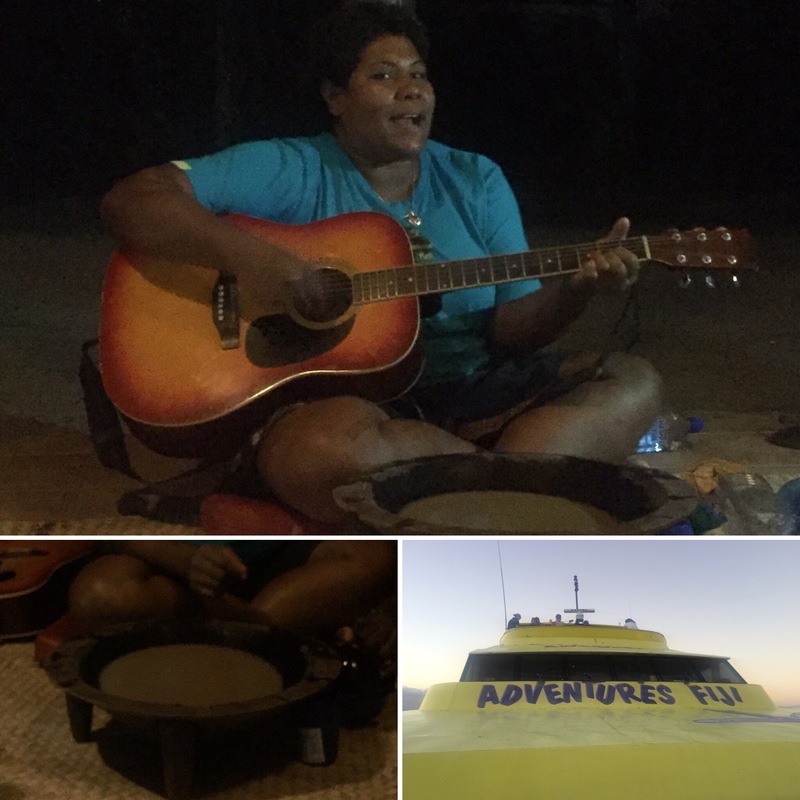 We were welcomed onto the island with a welcome song on the beach, like with every island we have been to and we’re taken up to reception and given a welcome drink. We got checked into our room and then had a few hours to kill until we would be having our tea. We had upgraded to a private room which was up some steps higher on the island. 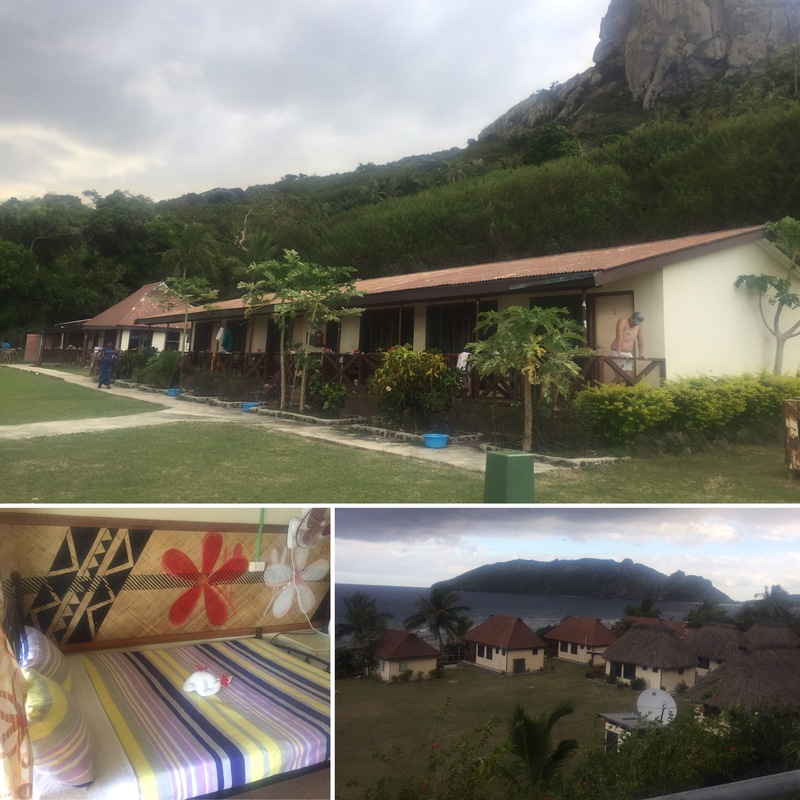 The room was nice and gave nice views out to sea and of the rest of the resort. After getting settled in, we booked in a dive trip for the next day and then had a look around the resort. 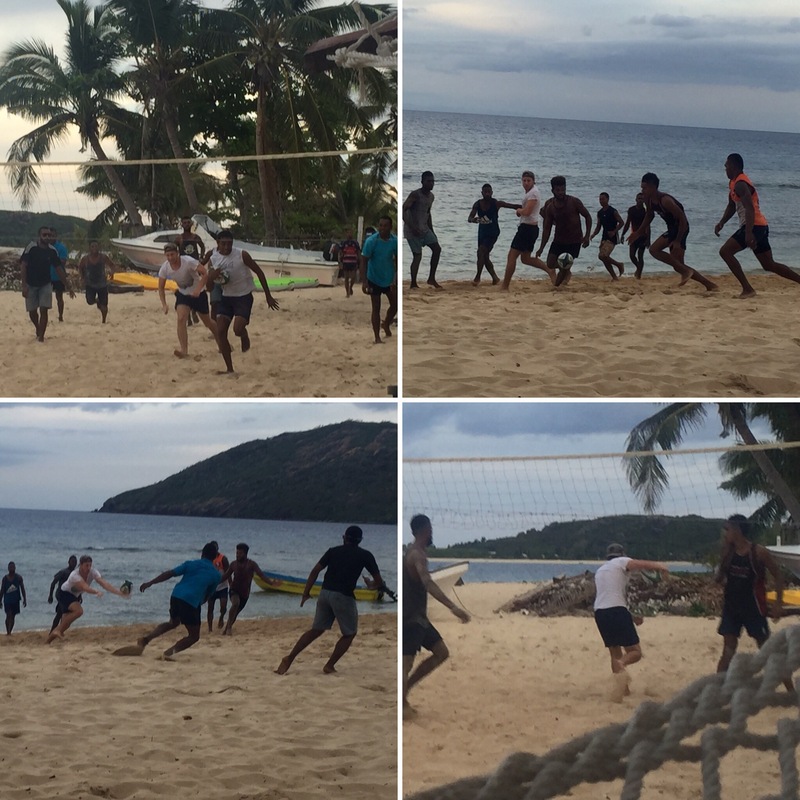 Whilst we were on the beach Niall was invited to join a rugby match that around 20 Fijians were playing; naturally he obliged. He was playing for around half an hour which I’m sure you can imagine, playing on sand having done very little exercise over the past 8 months, was very tiring! He really enjoyed playing though and hoped he’d be able to play again the next day we were there. Our tea was a really nice all you can eat BBQ but what especially stood out was the resort’s choice of entertainment. The young men on the resort were all dressed up as women and serenaded us while we ate our food. It was very funny, they had on bras and lipstick and were putting on high pitched singing voices for some of the songs. After tea, what made the sight even stranger, was that they put away all the tables which involved lots of heavy lifting by these strong men all in makeup and dresses who had just been dancing with one another! The whole sight was very bizarre but very funny! 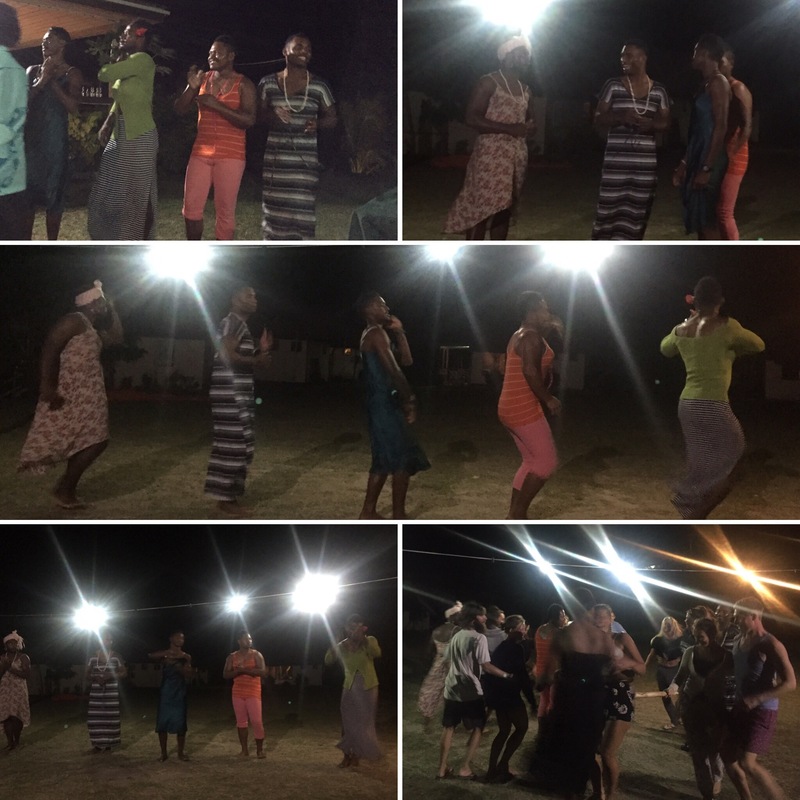 We were then all taught the ‘bula dance’ (the same dance we had been taught at Nabua Lodge) and played a pairs version of musical statues and ‘pass the stick’. Musical statues was funny as our host in his dress would come around and try make you move by dancing up against you or talking to you and trying to make you laugh. He came right up in my face and it was so hard not to burst out laughing! We got really far but then Niall fell for one of his tricks when he asked everyone to give a round of applause as if the game is over – for some reason Niall fell for it this time even though he hadn’t the other times he’d done it that game! It was a good laugh and a couple we had got to know quite well ended up winning it. When we woke up, Niall was 24! It was his birthday and he was starting it by going on a scuba dive with bull sharks. Anyone who knows Niall will know how scared of sharks he is so it was incredible that he even considered doing it (I think he was in two minds whether he’d wish for sharks to be there or not!). After breakfast we headed to the dive shop to get into our wetsuits and get the last of our kit sorted for the dive. 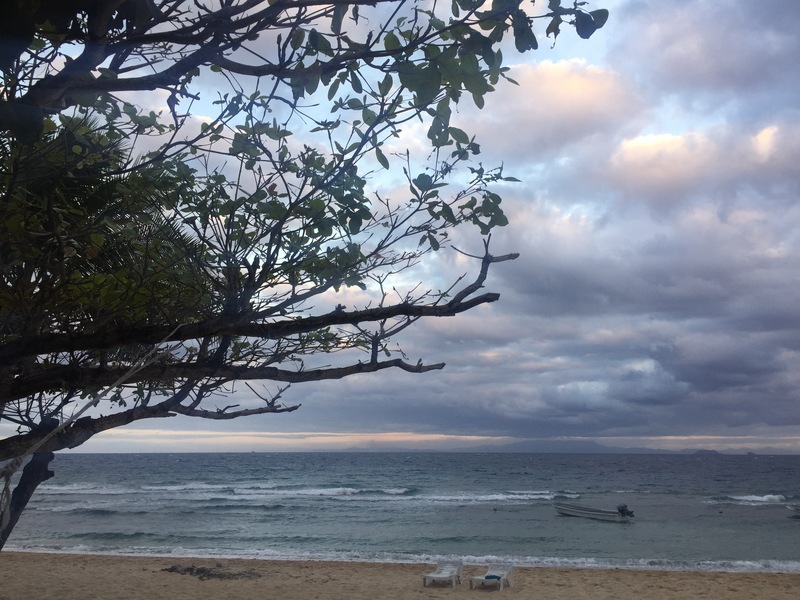 It was just the two of us going out with a dive master who would show us where to go and make sure no sharks ate us – were we a bit mad?! 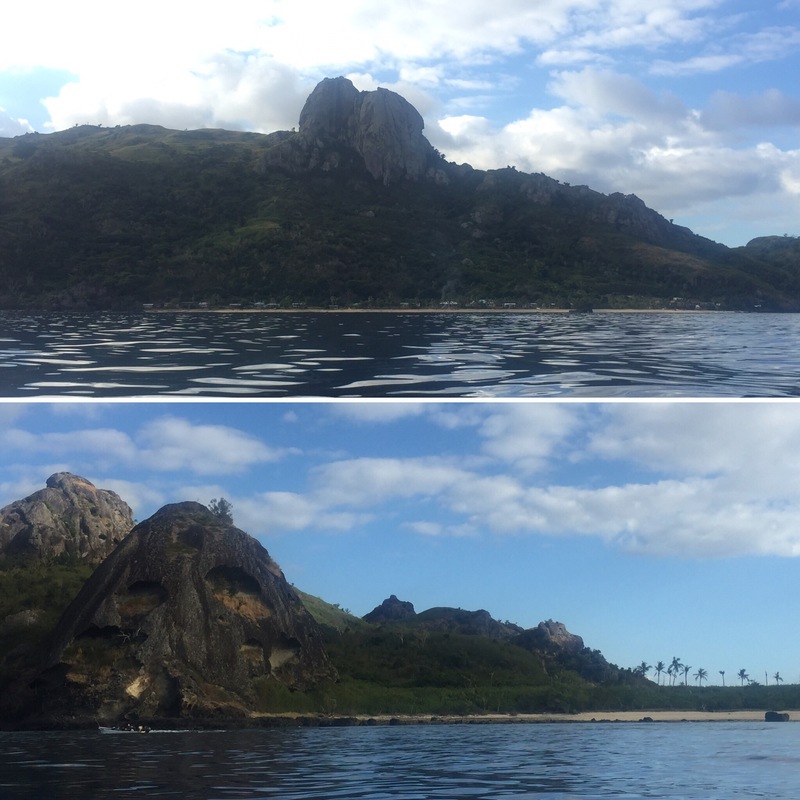 The boat ride was around 15 minutes to where we anchored above some coral and did a slow descent into the reef. 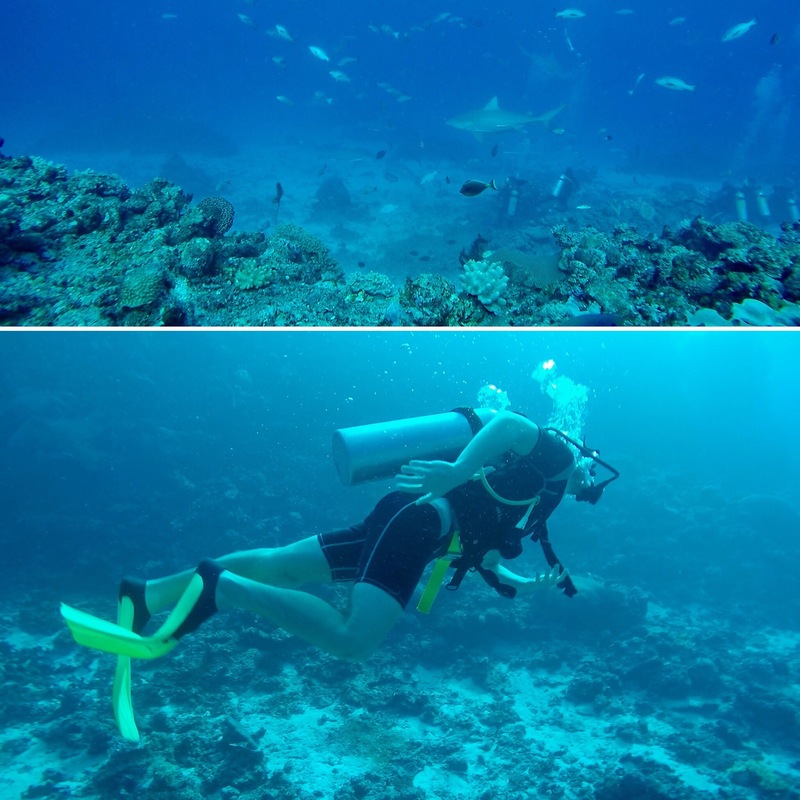 We travelled along a channel bordered by coral on either side and headed to the sharks. On the way we saw where a cray fish lived – considering we were pretty deep it made it even more impressive that Dan in New Zealand would free dive to catch them! The coral was really pretty and I think it calmed our nerves a bit swimming through it to get to the sharks. Now, all cards on the table, we were going to see some sharks being fed. I know this isn’t ok for a lot of people but our resort weren’t the ones doing the feeding. We just found a spot near by to it to observe these giant sharks swimming around and being fed by another resort. It was a surprise to suddenly see the swarm of fish and circling sharks below us. We held onto some coral that was slightly above the action so that we were out of the way but had a clear view of what was going on. The resort doing the feeding, Barefoot Kuata, had a big cage of fish that they would put onto a stick and fling up into the water above them. The fish and sharks would then swarm and eat the fish. The tourist divers from Barefoot Kuata were sitting behind a small wall of rocks (I think to stop them from floating away) very close to where the feeding was taking place. I was surprised how close they actually were and we even saw a couple of sharks get so close to them that they had to duck! It was incredible seeing the sharks so close having only seen reef sharks before (which are little and timid in comparison to these giants). 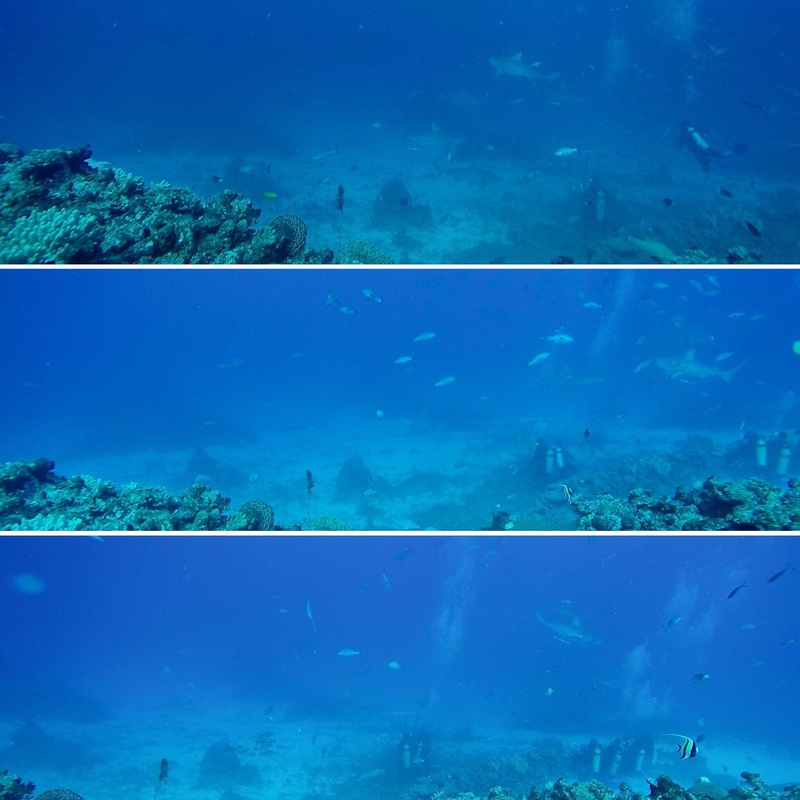 There were ten sharks in total, eight bulls sharks, one nurse shark and one lemons shark. We were told the the bull sharks were roughly 4-5 metres in length and were slightly aggressive at this time of year because they had just finished their mating season (their shark hormones must have been running high) so we were happy to be a little bit away the feeding frenzy. 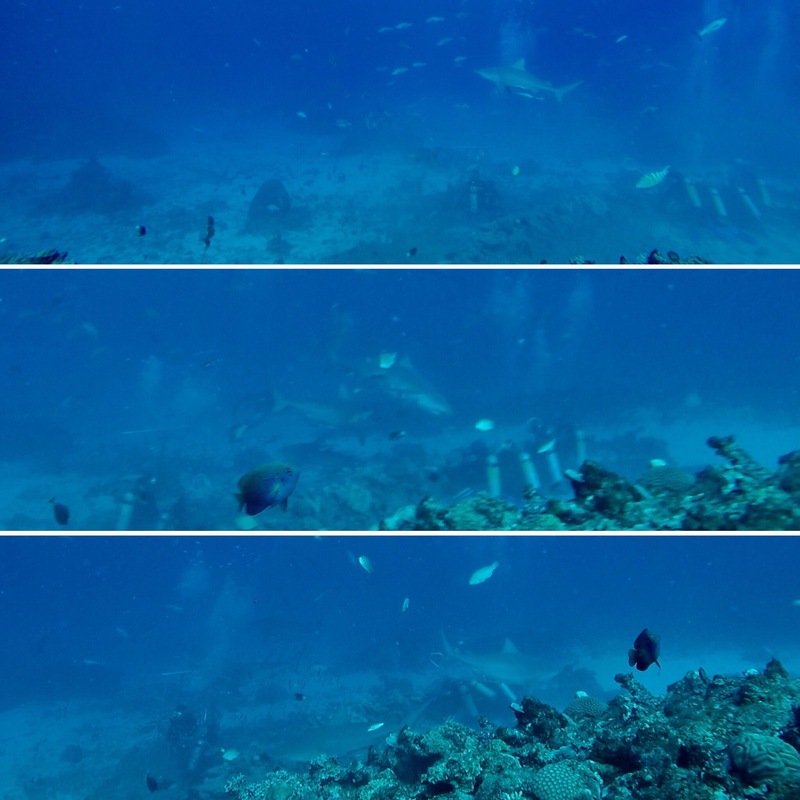 After watching the feeding for around 15 minutes, we left the site and had a look at more of the reef. Our guide didn’t want us to still be there when the feeding ended as that was when the sharks disperse and they have had times when the sharks have followed them back to the boat (probably hoping for there to be more food). I always find it incredible how the guides are able to spot the marine life hiding in the coral and know where they all live so we got to see a clam and a stingray that was hiding in a hole in the coral. Niall was running low on air so we headed back to our boat – which also meant we didn’t have to worry about approaching sharks – and headed back to the mainland. Niall had been very very nervous, to the point he nearly didn’t do the dive, so I was relieved when he told me he had enjoyed seeing the sharks and that he hadn’t felt in danger whilst we were down there. We love diving and so we were happy we had also been shown a bit of the reef as well as the sharks. We had a relaxing afternoon and spent a lot of it talking to our new friends James and Allana who we had been on two resorts with. Wayalailai is a very peaceful resort and has a lot of hammocks under the shade which are really comfy to read or nap in to the sound of the waves. In the early evening, Niall played rugby again with the locals. 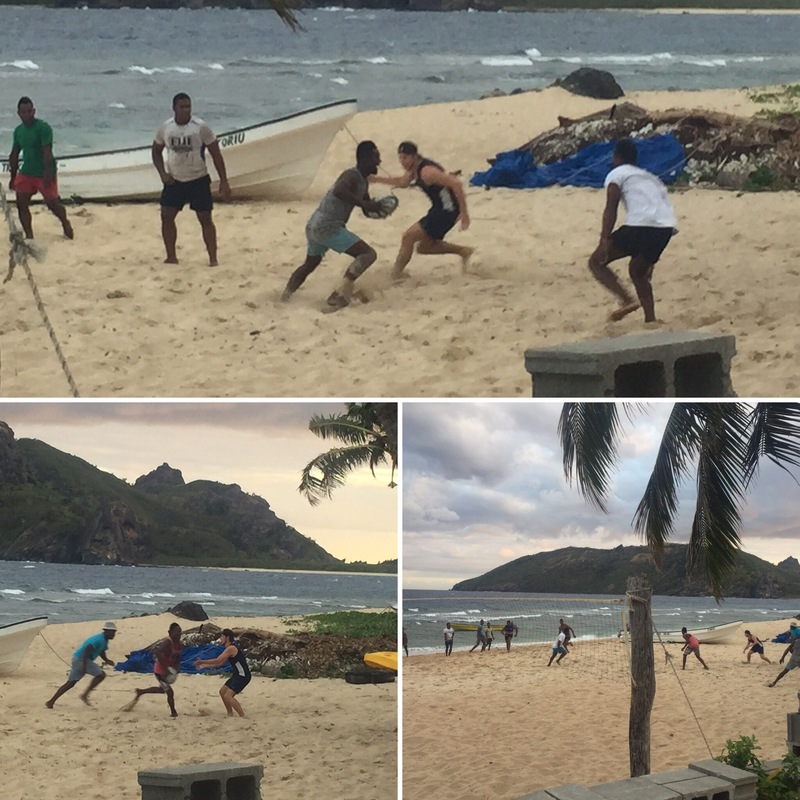 Whilst they were playing, one of the Fijians came and talked to me whilst he had a breather – it’s not easy running about on sand! He told me he ran a homestay from his house and had three people from London staying with him for three nights. He told me he enjoyed it and that there were new people arriving early every day. After he had gone back to playing rugby I thought about how hard that must be – having to constantly entertain strangers in your home. I love having people to stay but it does take it out of you so it made me realise how much they must love being able to play rugby every day with their mates and not have to put on a front or be the entertainer. I liked watching the rugby. Niall told me how there are actually a lot of obstacles on the beach. 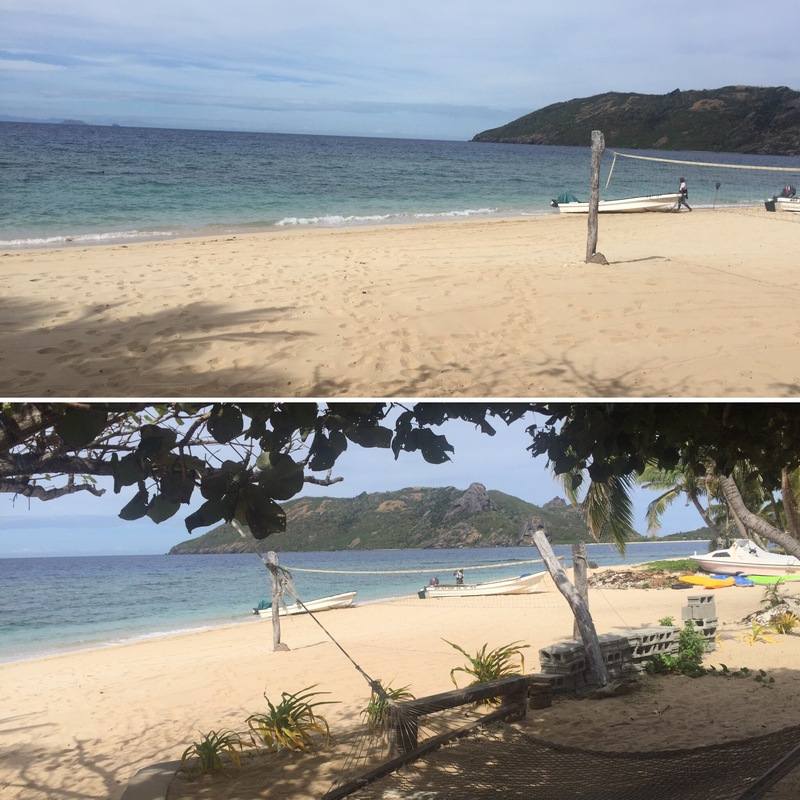 From what I could see from my hammock there were obstacles like a boat, a volleyball and giant rocks in the sand. He told me that the Fijians don’t seem phased by this at all and they still run full pelt as if the obstacles weren’t even there! I think the funniest bit about them playing on this small stretch of beach is that the ball will often go in the sea. People would dive into the water, have to wade out pretty deep to collect the ball or be tackled into the sea. By the end, a lot of the player had strange patterns on them where they had gotten wet and then dived onto the sand and the sand had stuck! When we went down to the dining area for tea it was Fiji night. We had unfortunately missed the kava ceremony as they had done it earlier in the evening and we hadn’t known but we were there in time to eat the food. 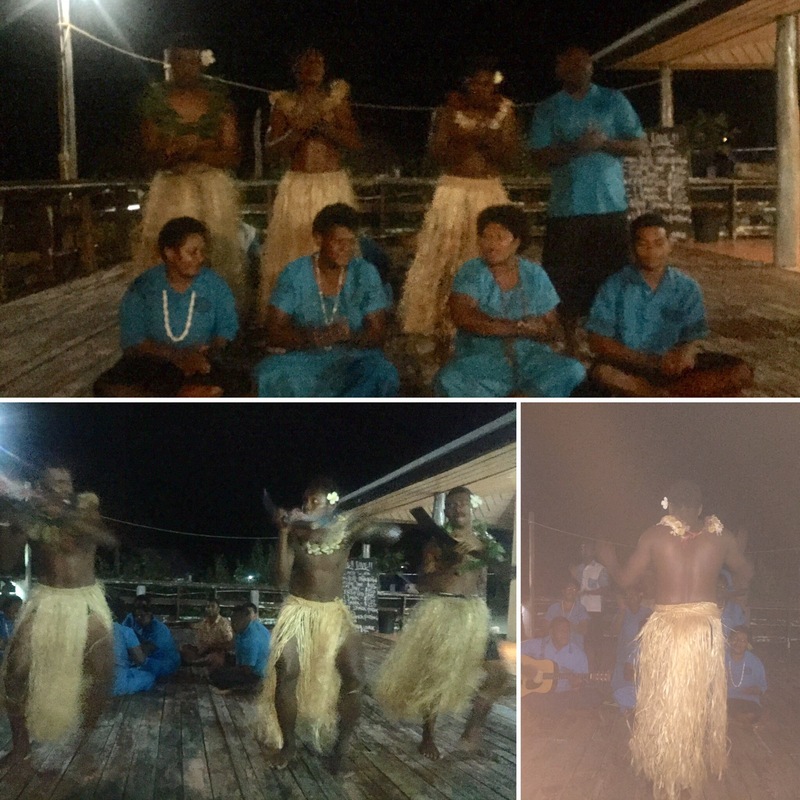 We all ate the food that they had prepared – lots of veg and meat that you had to eat with your fingers – and then watched the staff perform some Fijian songs and dances before also getting involved in a couple of dances ourselves. After all of the entertainment was done, we went straight back to our rooms and packed as we would be leaving the resort to head back to Nadi (the mainland) the next day. It was a beautiful day on our last day on the resort. 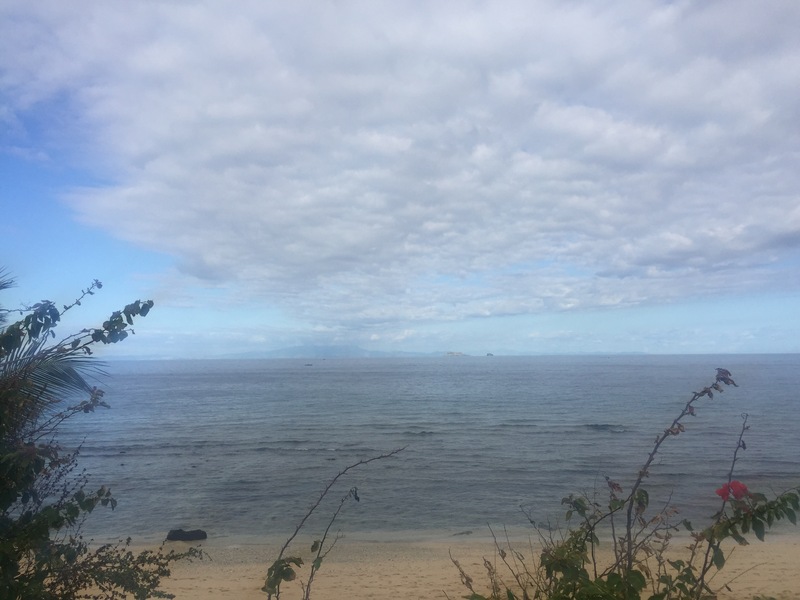 We wanted to do a big trek they have on the island which takes around an hour to a lookout point that shows you loads of the surrounding islands. We had met people from other resorts who had done the trek unaccompanied and so we thought we would be able to do the same – unfortunately the staff wouldn’t let us do it without a guide and we had missed our opportunity to go up with a guide so we didn’t get to do it. We laughed about it later that this was the reason we had specifically chosen the island and we then didn’t even do it! Despite this, we weren’t disheartened at missing out on the trek as we have seen various amazing views on our trip so far. At lunch we were given some good news that the villagers on the island would all be coming to the resort to perform a kava ceremony and a land cleansing ritual on the island. This wasn’t a show for the tourist but a deeply spiritual and important ceremony to honour their ancestral spirits and cleanse the island against anything that might be considered a disrespect to the land, but we were told that they were happy for us to attend. Niall and I were so glad that we would get to see this ritual as we were still disappointed to have missed the kava ceremony the night before and we were happy that, when we would see it, it would be from an actual ceremony instead of a show for tourists. We managed to see the beginning of the ceremony before we had to get on the boat to get on our island transfer boat back to Nadi. Loads of elders had come to the island (we were told they were around 80 years old) and everyone was sitting in front of them on mats. There was also a giant cooked pig wrapped in palm leaves and surrounded by some form of root vegetable which would be eaten in a feast later in the evening. Everyone had to dress respectfully with their knees and shoulders covered (some people staying at the resort didn’t which is bad but we both did) and then everyone sat and listened as one of the elders read something from a holy book. We couldn’t understand any of it and I don’t know the name of the book but it was all taken very seriously by both the elders and villagers. After this, one of the resort workers filled a bowl full of water whilst another member of the village washed the bowl with the cloth (it was hard to see what was going on so that may not be exactly what happened). Then a third villager began taking to the elders (all in Fijian so we have no idea what was being said!) and that was when we had to leave to get our boat off the island. It was interesting to get to see the ceremony even if it was just the beginning. Some of the elders and villagers were deeply into the ritual whereas other people looked mildly bored as if they had been dragged along (maybe they had) which I found quite funny – probably what a church might look like on Christmas Eve (that always seems to be when people getting dragged to church). 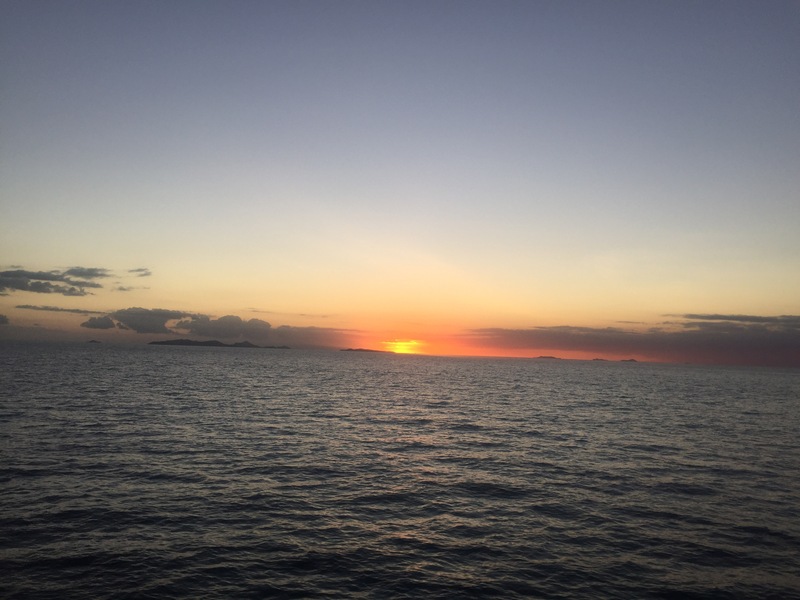 It took a long time to get back to the mainland because the island transfer was delayed. Once we were back we enjoyed some wifi (after 4 days without it – we’re definitely from the technological world) and went to the bar for some tea. When we arrived at the bar, we were able to try some kava. We sat on mats on the floor and a coconut with the kava in it was passed to us and then we would down the entire content of the coconut and clap to honour ourselves – other people would clap for us too. Kava is a brown liquid that looks a little like muddy water and the drink gives you a numb or tingling mouth. Apparently the drink is very addictive and a lot of Fijians will only have it during traditional kava ceremonies to make sure they don’t become addicted and drink it too often. It was interesting learning about the rituals and the role the chief has here. A man is nearly always chief of the tribe or family. There will be a certain family that will be the highest in the tribe for whatever reason and then it will be every man within that bloodline that would become chief in succession, starting with the eldest. A woman would only become chief if there were no more males in that blood line anymore, only if there are no members of the bloodline left will a new chief be determined and it would be from the second highest family. We were told how some villages nominate who their chief will be instead of doing it by the eldest in the highest family but the lady telling us said that this brings bad luck and curses into that person if they perform the kava ceremony to become chief. She told us a story of a nearby village where someone decided they should be chief and he had the support of half the village, drank kava during the chiefs ceremony and died two years later – obviously there will be other factors but she was very adamant that it happened because of a curse. 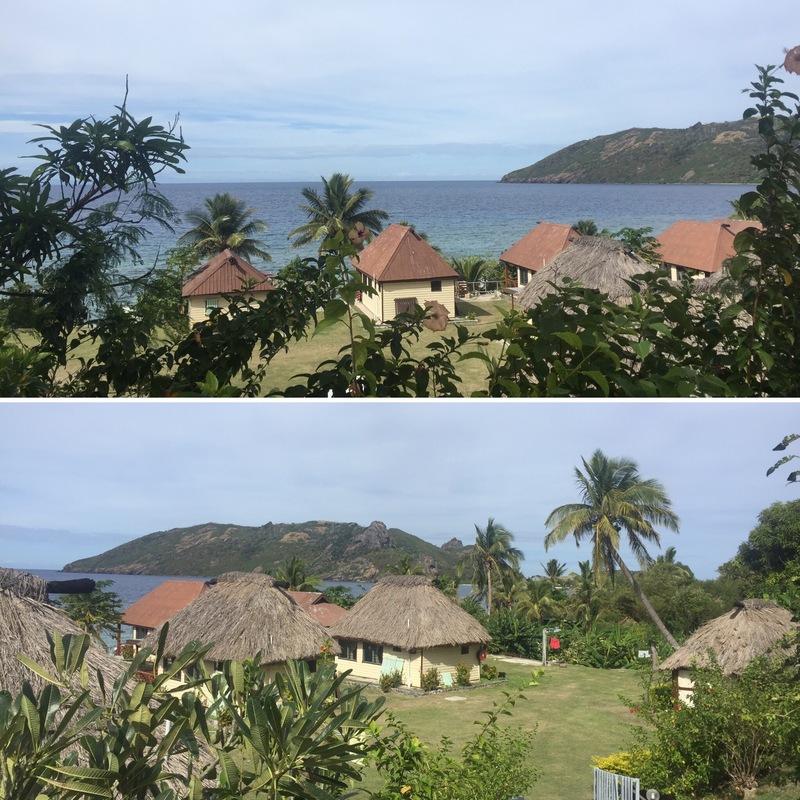 We had an absolutely fantastic time in Fiji. The place is paradise and, despite the level of relaxing and sunbathing we did, we weren’t bored once. 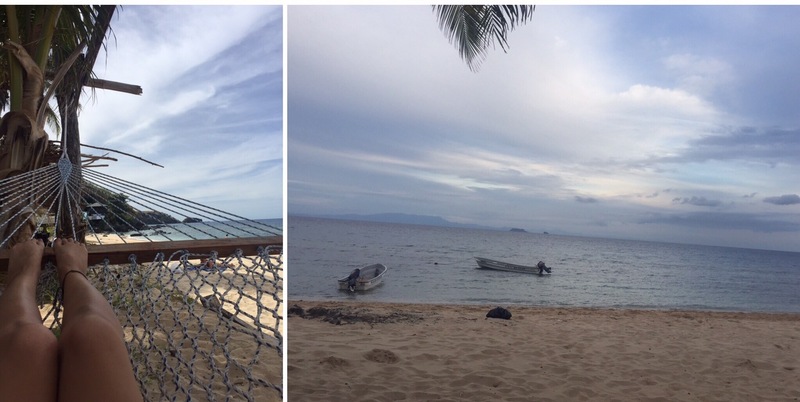 We got to see amazing marine life and meet some lovely Fijians. We could have easily spent longer that 2 weeks there but it was time to get back to Brisbane and get working!